Monday’s episode of Raw following the Royal Rumble saw an expected drop from the 25th Anniversary episode from the week prior and from last year's show following the Rumble event. Monday’s episode of Raw following the Royal Rumble saw an expected drop from the 25th Anniversary episode from the week prior and from last year’s show following the Rumble event. The three-hour episode averaged 3,380,000 viewers on the USA Network. As a comparison, last year’s Raw following the Royal Rumble did a 2.49 rating and averaged 3,610,000 viewers so it was down 6.7% year-over-year. The opening hour of Raw this week averaged 3,662,000 viewers and would have featured the most curiosity regarding Ronda Rousey. It was made apparent in the opening segment that Rousey would not be on the show after being mentioned in passing by Stephanie McMahon and adding that, “tonight is about Asuka”. 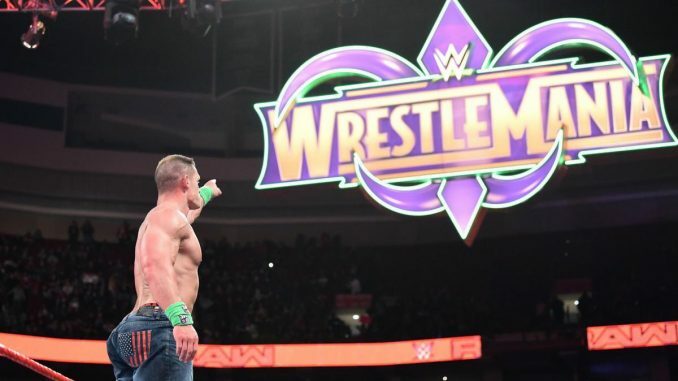 The second hour dropped to 3,461,000 and the third hour fell to 3,061,000 viewers with John Cena vs. Finn Balor in the main event position of the program. It is a big drop from the 4,500,000 viewers from last week but that’s a ridiculous number to compare because Raw can only hit a number like for that a massive anniversary show and will be an aberration this year as opposed to any indication of the show’s regular viewership.